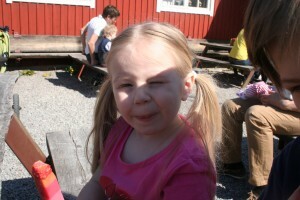 Sunday and it’s a sunny day! 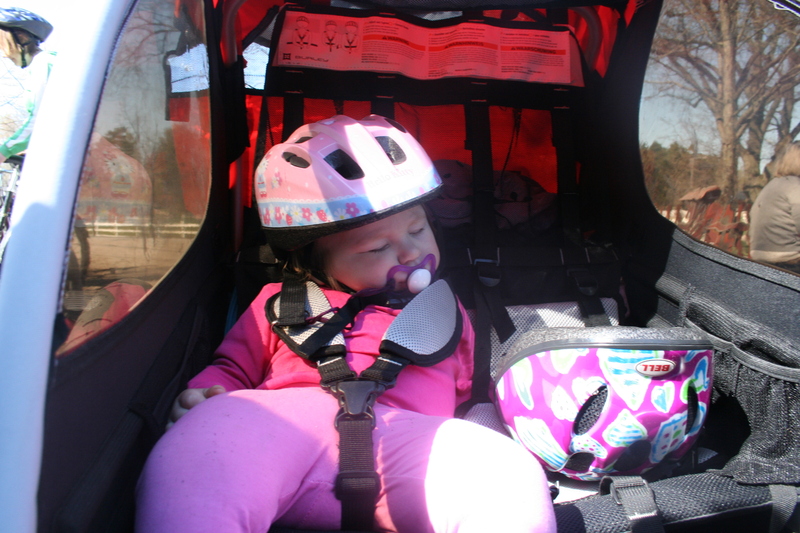 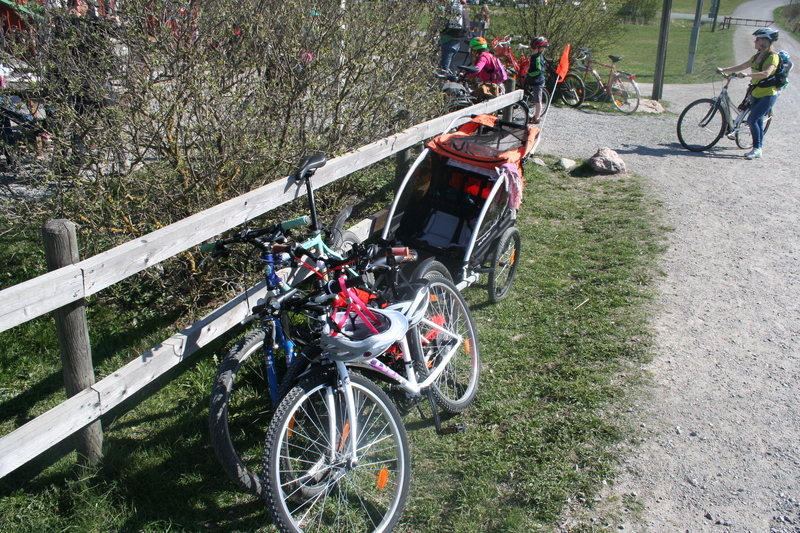 On Friday Elina got her new bike, something cheap from Decathlon, today was the day to try it out, with a easy ride around Järva, three stops planned, two Cafe places and one for our own picnic! 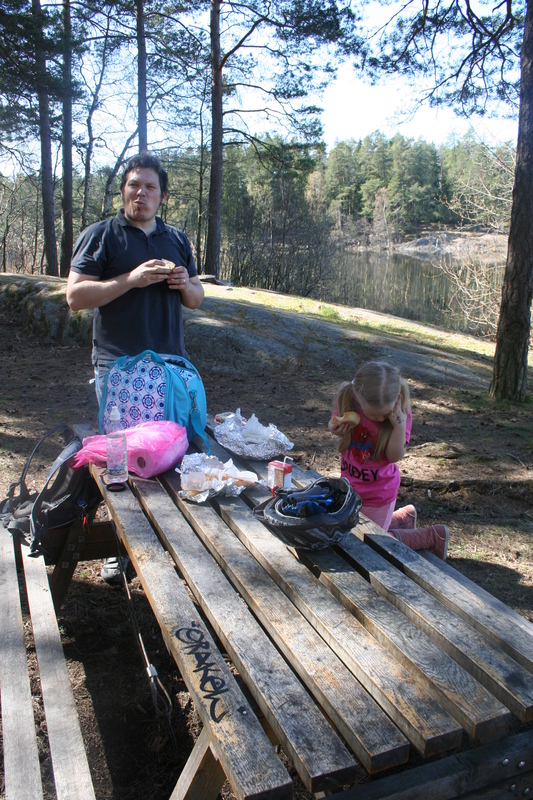 We started home, then went Bögsgård for a stop at Helenas Cafe, from there we went up to Översjön for some sammiches, and then to Säby Cafe, for buns! 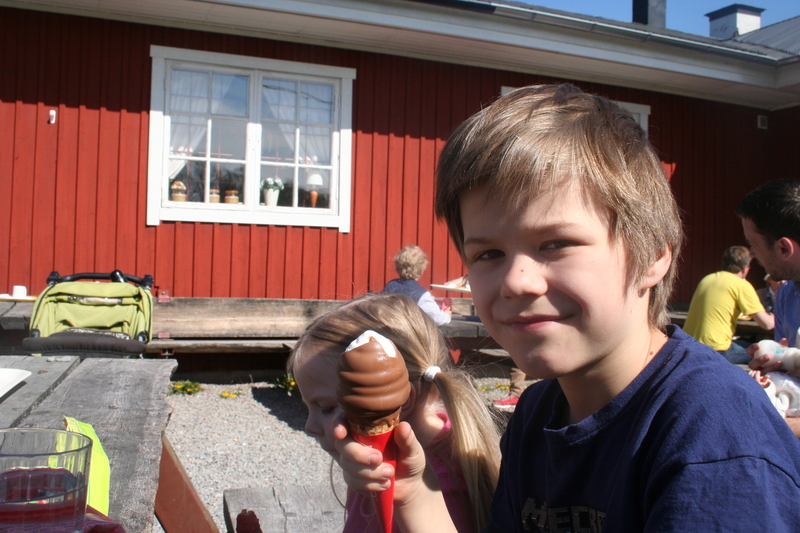 Pictures from Helenas Cafe at Bögs gård, Icecream for everyone! 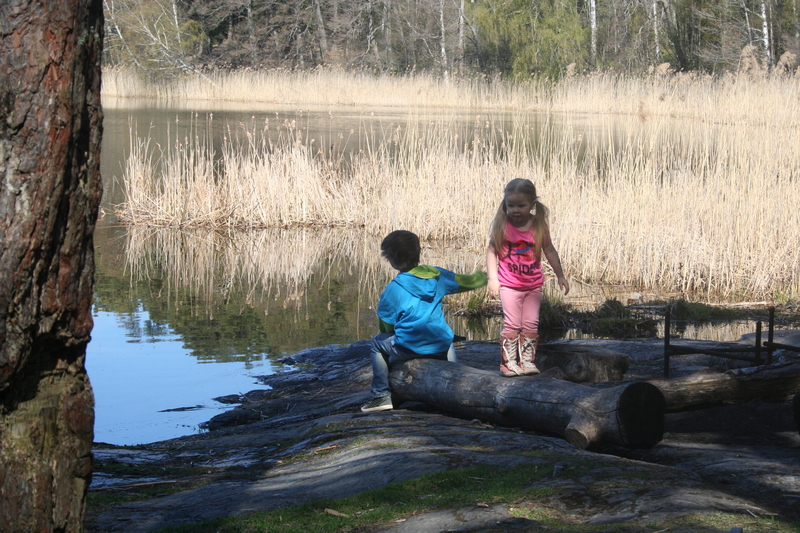 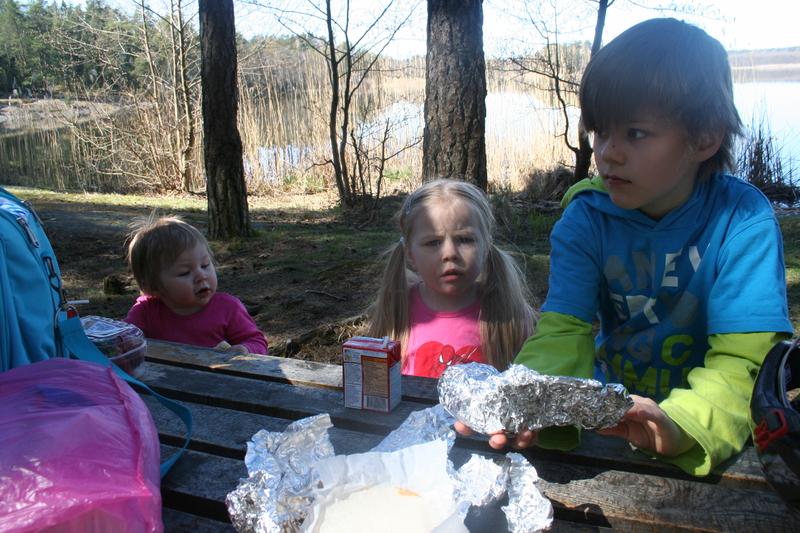 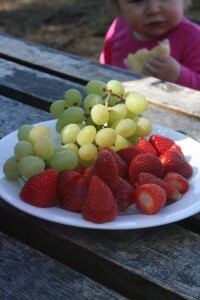 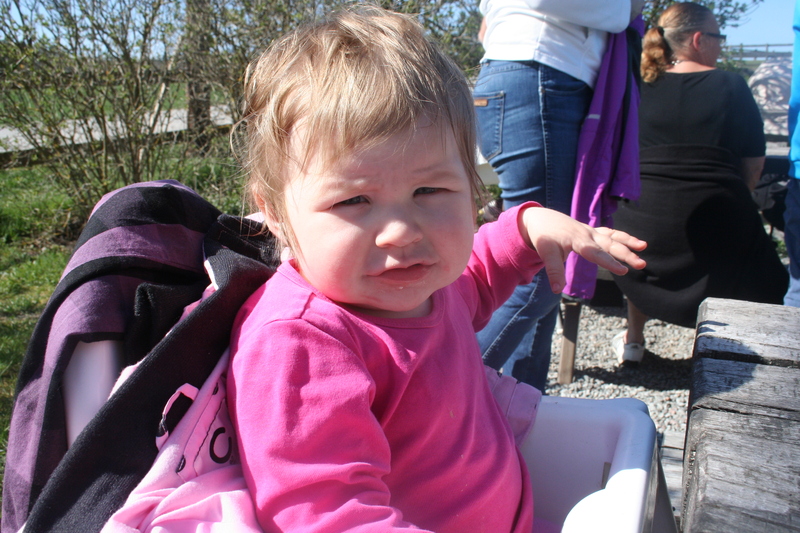 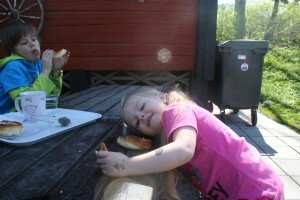 Pictures from our mini picnic at Översjön, there where sammiches, juice and some fruits and berries, and the kids got to run around for awhile. 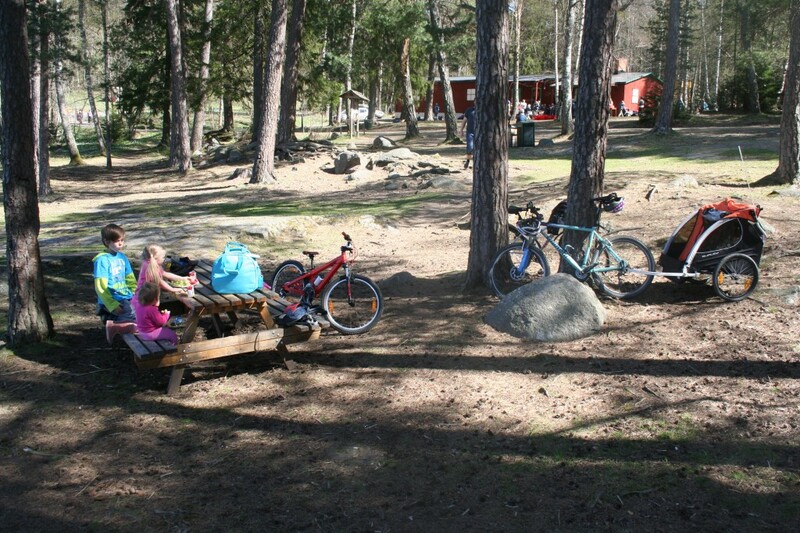 Base camp Översjön, not much more to say, the kids enjoy some relaxing with foods and drinks. Siiri and Saga, one is munching the other is sleeping, with Viljami in the background, working that pulla down! 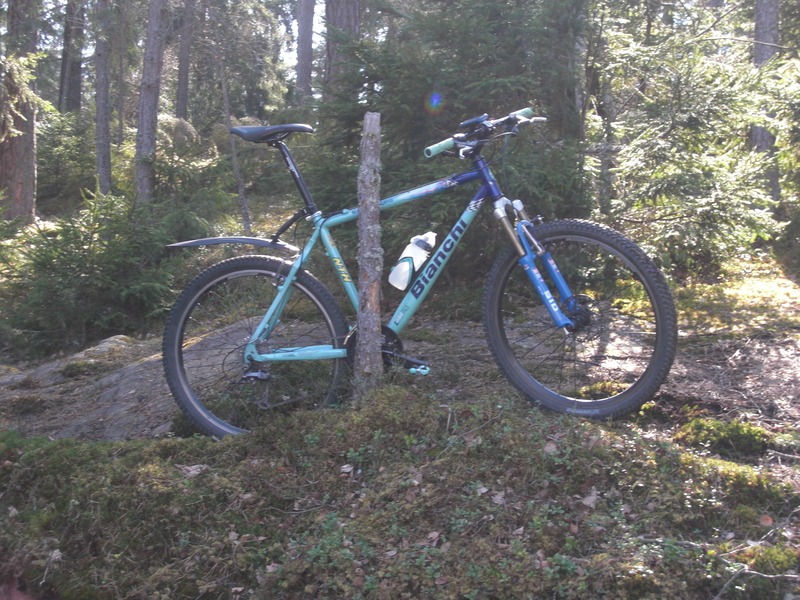 That’s the three words of the day, it’s like 15°c outside, sun is shining and I’m home alone, time to get our with the more or less fixed mountain bike I’we gotten (build thread here). The view from where I sit and a profile picture of my bike somewhere behind Bögsgård. 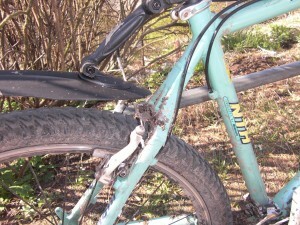 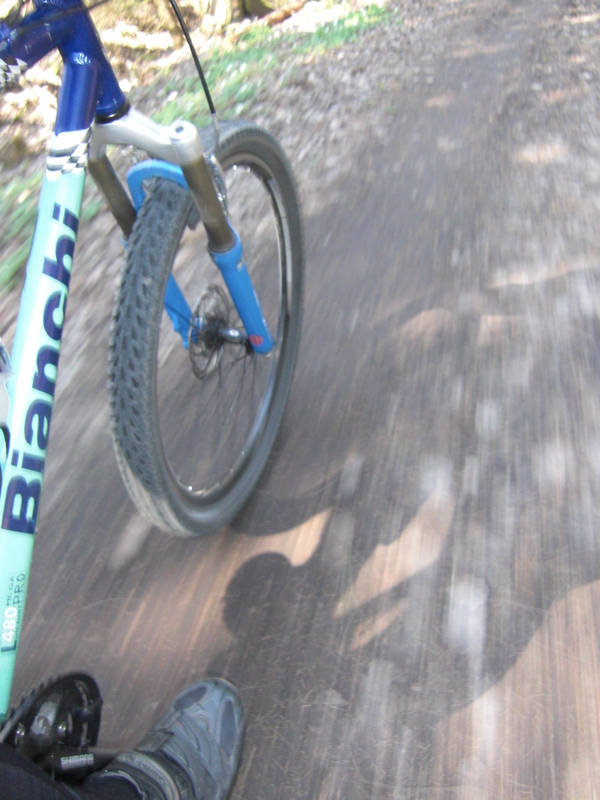 The rockshox SID from 1999 is soft as butter, flexy and what not, and there is a a selfie of me #nomakeup, #nature. 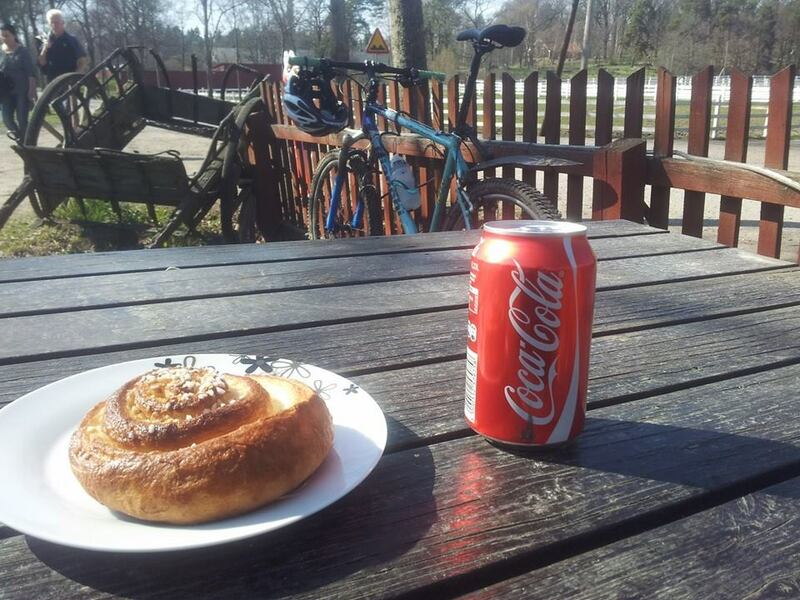 A must when biking in Järva, the bun at Säby gård, best in the world! 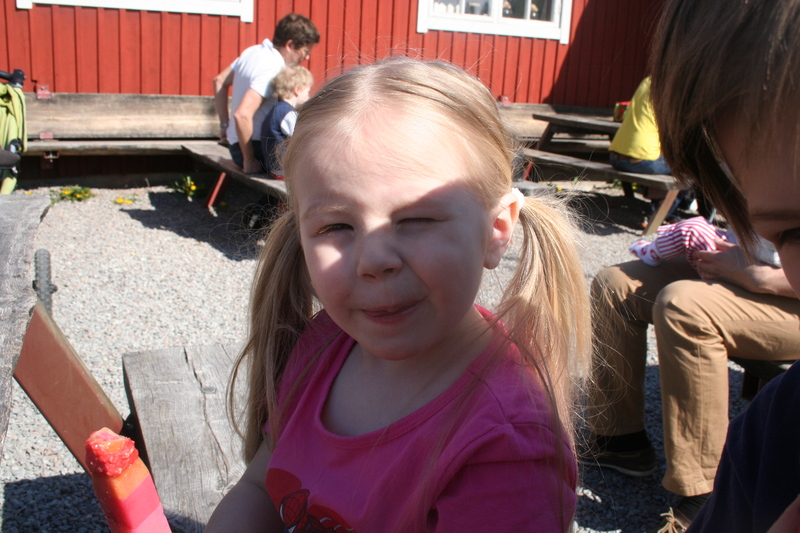 That’s it for today, Happy Easter thingy! 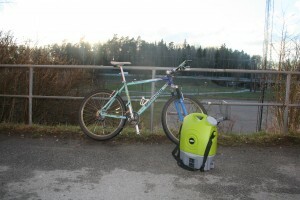 Yesterday (on Thursday) my wife went out shopping for me, from lidl she got a new helmet, a pair of gloves and a mechanic repair stand. 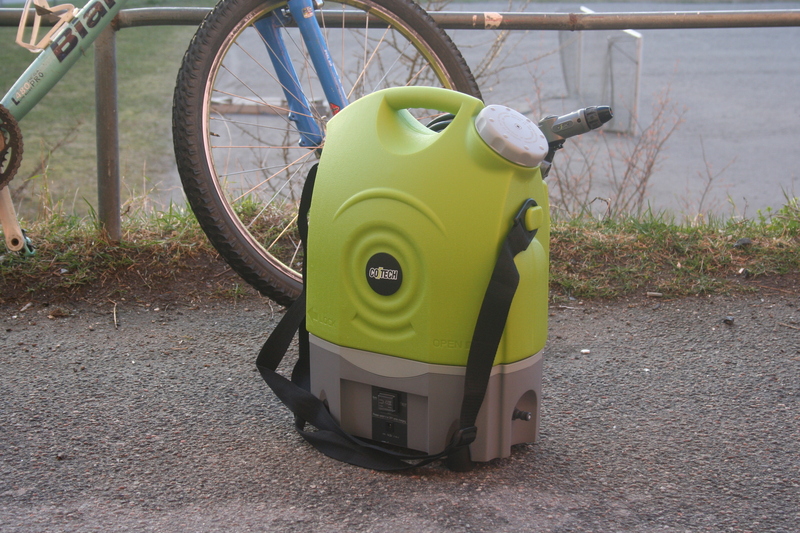 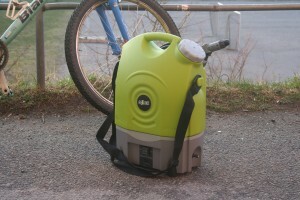 from Clas Ohlson she got me a power washer! These are just to show some action! 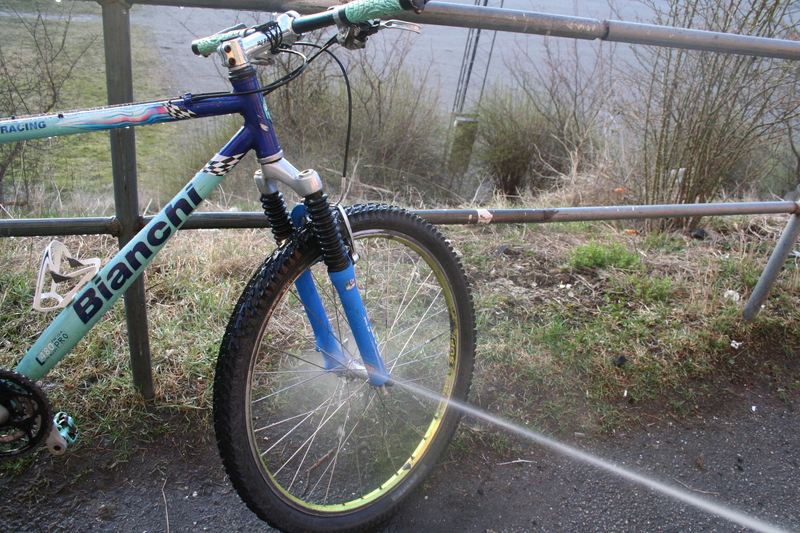 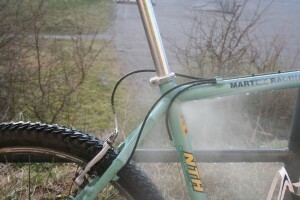 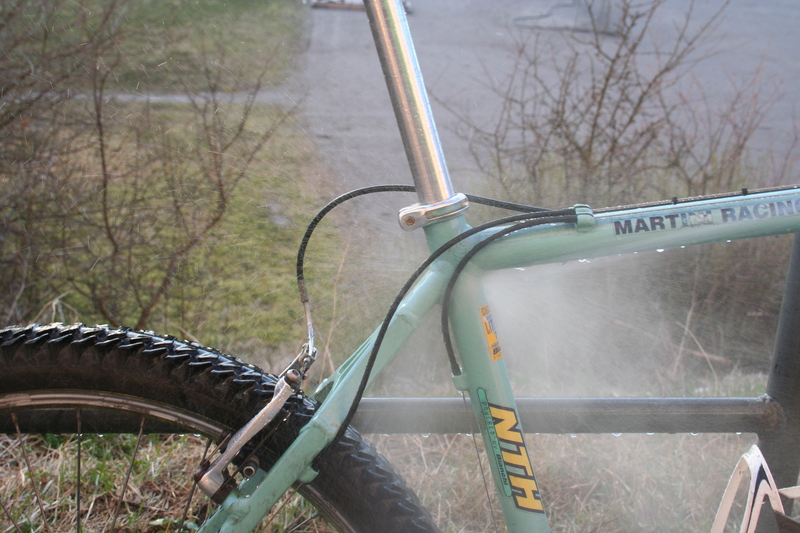 So that’s it, the bike got clean enough for me to take inside to finish the fixing on it! 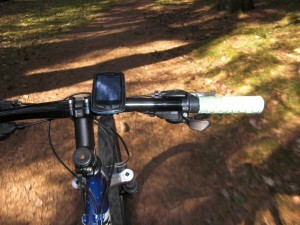 Another day (another month to), and I finally got around to update this blog of mine. 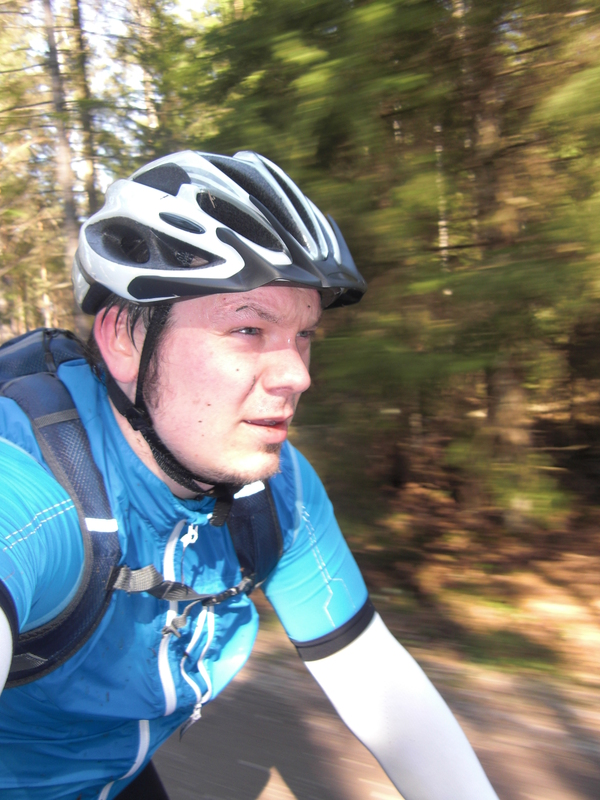 It’s been slow, biking has started up again, still mostly commuting, but Easter is coming up and I’m home alone, so I hope to get some epic rides in, well maybe epic is the wrong word, but some rides non the less. 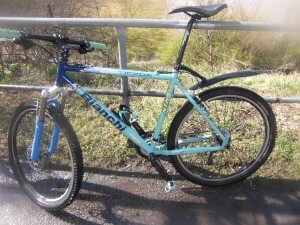 Anyway, I got a new bike, new for me at least, and in my eyes, she’s a beauty! 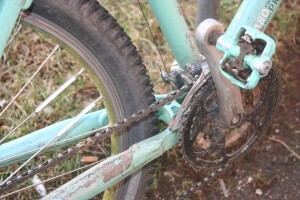 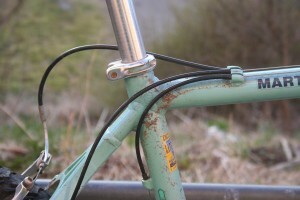 The bike is built on, as far as I can tell a Bianchi L480 frame, it’s a early 2000 Martini Racing team bike, it’s got a XT/XTR drive train and brake setup, and a old Rockshox SID dual air fork, it’s fitted with V-brakes (damn the old XT ones pack some breaking power) but it also has mounts for discbrakes, so that might be a future upgrade! So, there you see her, before I started fixing things, the main issues are/were the drivetrain components, the cogs where so worn the chain didn’t stick, so I’we swapped for a new 11-32 sram cassette and chain, and I swapped the wires for some jagwire stuff, a little adjusting and it runs smooth again! I also have a pair of disc brake wheels that I’m thinking about using, though the disc touches the frame on the back triangle, not sure if I have to go down to 140mm disc back for it to work, but thats for the future. 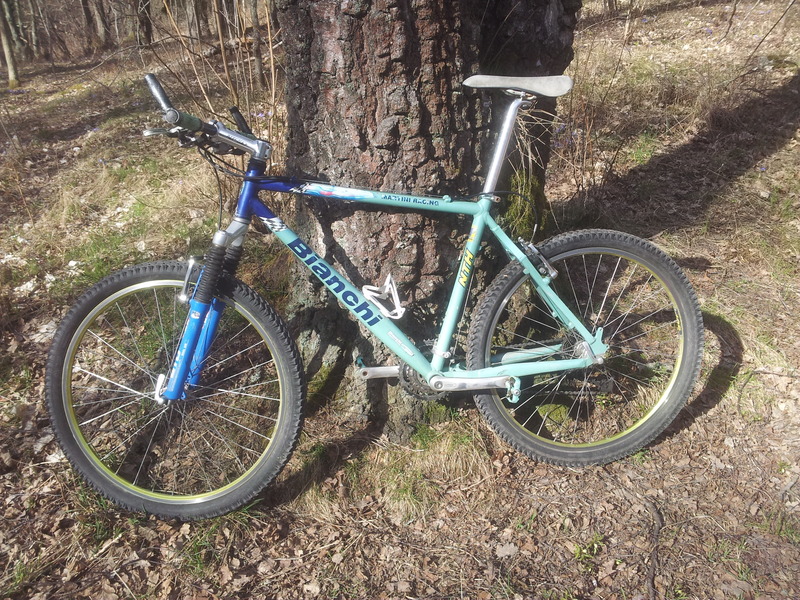 I still need to check the fork, it’s got to little air, but I dont have a adapter for it, and I don’t know if it’s serviceable anyway, might just go for a new/used fork. The last thing I need to do, probably is get a small can of paint to touch up some parts, there are deep cuts and dents in the paint job around the chain stay, cosmetic only, but still, oh and the saddle is more or less worn out!